The restoration of long-term capital gains (LTCG) tax on equity income in Budget 2018 is a huge change. This would have a huge impact on the ease of investing in stocks and equity-oriented mutual funds. People were investing in equity because of the robust returns delivered by the markets since the Modi government came to power in 2014. As there was no LTCG tax on holding the investment over a year, everything was very simple and this was bringing more and more retail investors into the market resulting in strong domestic flows into the market and bringing stability and growth to the same. From February 1, 2018 onwards, selling stocks or equity mutual funds that you have held for the long-term will mean paying taxes on gains accrued since the market closing on January 31, 2018. If in a year, you realise more than Rs 1 lakh of such gains, then 10% plus cess of that has to be paid as tax. So far, so good. You might not like this tax or you may console yourself that it’s at least a lot less than the 30% income tax slab you are on. If that’s what you think, you may be getting ahead of yourself. Now, this is where the challenge comes in. A simple investment so far has now become much more complex as you will now have to manage your returns, too. Suppose your gain for a year is Rs. 90,000 and you book the same, there’s no tax. But if you wait another few months and it becomes Rs. 1,05,000 then you will have to pay Rs. 10,500 as a tax. So now as an investor, you and your financial advisor will have to be much sharper at following returns and flagging such situations. Also, you will now need to consolidate your portfolio, if you are making many investments then it would become that much or more difficult to calculate your tax liabilities. Here are some some important points investors will have to keep in mind when investing in this new reality. First and foremost, consolidate your portfolio and do not buy and sell frequently. Choose a few good stocks that will stand the test of time. Invest in mutual funds instead of buying and selling equity directly. A mutual fund investor can get the same returns but does not need to buy and sell individual stocks and thus has a much smaller number of transactions. You are not affected by the trading being done by the fund manager on your behalf in the fund as long as your holding period is over a year. Again, rather than having 20 to 30 funds in your portfolio restrict them to not more than 10 and consolidate your holdings. Book profits regularly and this would take some understanding & work. Since Rs. 1 lakh of gains are tax-free, at the end of every year, you could sell investments that would generate that much returns & immediately buy them again. Although the saving is Rs. 10,000, as mentioned this would compound and can make a lot of difference if you do it over years with the power of compounding. Use a good wealth manager or a firm as those with a robust technology platform will be able to give you the capital gains and loss statement. Making a mistake here can cost you big. Also, with a consolidated portfolio, the most important thing is you need help in fund picking and if the wealth management company has a good research team they can help you pick the winners which would give you more than the returns you require to compensate for charges you are paying to them over going direct, which are 0.5-0.6% of the portfolio. There may be other side effects of this tax, which would only come out as the fine print is read and further details come out. So, it is important to be cautious and keep an eye on more information. 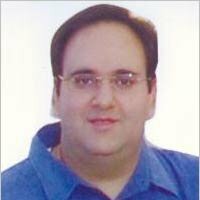 The author Mr. Sanjiv Bajaj is vice-chairman & managing director, Bajaj Capital.